Super Junior once again conquered Manila last night! So before I start to flood this post with unending adjectives with my experience last night, let me start with the basics first. The food. Since concert events like Super Show 5 requires a lot of shouting, chanting, singing, headbanging and a lot more, we need to eat a lot before the show starts. My sisters and I decided to dine at Bonchon. My first experience at Bonchon was during the opening of their branch at Marquee Mall. Unfortunately, I wasn't able to get photos for a blog post. They're famous with their soy garlic chicken but since I tried it before I opted to go different this time. I skipped on rice so I ordered Japchae together with Pops and Fries for everyone. The latter comes with a Pepsi. The Japchae was just plain ordinary. Maybe I expected a lot since I've read reviews that Japchae was also one of Bonchon's bestseller. I've tried several Japchae in different Korean restos before and this was just plain for me. My eldest sister had a 1-pc. Thigh Ricebox together with a Kimchi Coleslaw. All their boxed meals comes with a regular drink. She ordered a spicy thigh ricebox but she just got an ordinary chicken. I tried Kimchi Coleslaw and I love how it tastes like an ordinary coleslaw without the strong taste of kimchi and what stands out was the spicy kick. This is indeed worth a try! My other sister grabbed a Beef Bulgogi Ricebox. I didn't try this one but according to my sister's verdict, this one is good. I should try it soon. Overall, I wasn't so impressed with Bonchon's service. First, I think their plates and presentation are not that all polished. Plus the fact that they gave a different order from what was ordered is a reason to not give them credits of introducing them to friends. 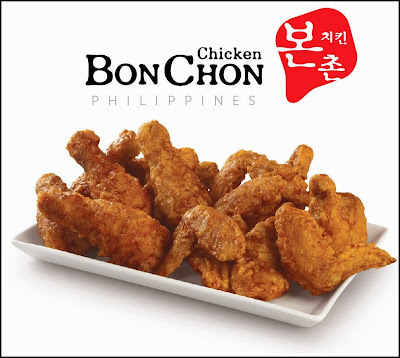 Still, I am going to try different branches of Bonchon and see how their services will go. 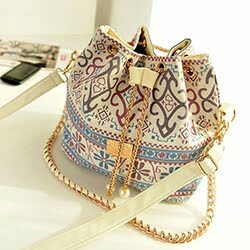 Have you tried on the same place? How's your experience? When Bon Chon first had their branch in Ayala Triangle, my officemates and I went after work. Ayala Triangle wasn't near so we were really bit by all the frenzy. Pero now that they have more branches and it is easily accessible, the food doesn't stand out na, especially their fried chicken. The coating is good but the meat is just blah. I like the foods here! And affordable nga plus super tasty! I like their chicken and fish fillet.